After attending university to study nutrition and dietetics, Risa Riepma joined the U.S. Air Force and planned to develop her career through service. “I joined the military right out of college because I wanted to help people, to get my degree, and to travel the world. I quickly developed a heart for serving our country and helping other military members. 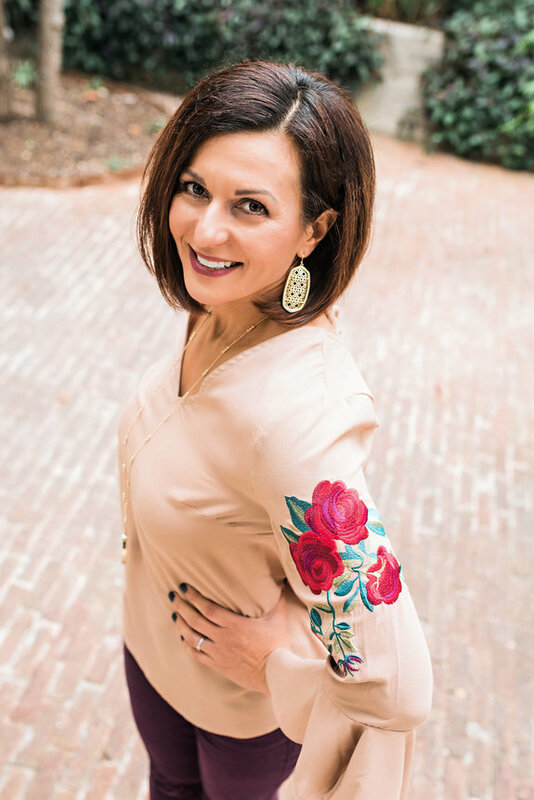 I married my high school sweetheart after my first assignment, and when we had our first son it became more and more difficult to keep all the balls in the air and give 110% to both my career and being a mom.” This challenge marked the beginning of Risa’s empowering journey toward becoming an entrepreneur and owning her own business in skincare. Risa’s three children Bella, Hunter, and Ethan— summer 2012, just before her deployment to Afghanistan. 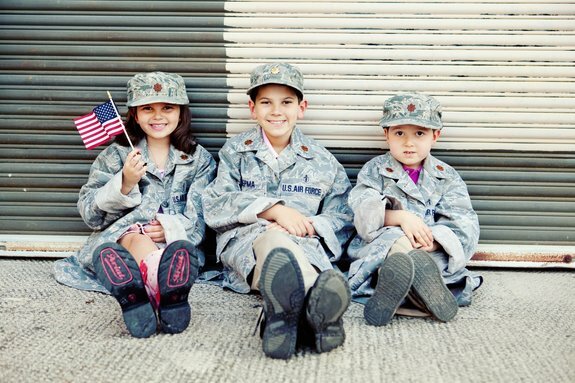 Risa chose to stay in the military until she was eligible to retire with benefits, at which point she would finally be able to stay home with her children. “We didn’t quite know how that was going to work out because I needed to supplement our income. I just figured I would make a plan at some point. 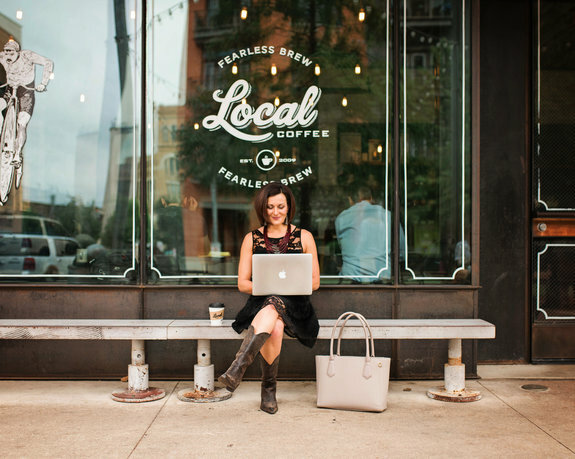 When I learned of Rodan + Fields everything started to make sense.” The Riepmas were stationed in Germany in May 2014 when Christie Perkins shared her story with Risa and introduced her to the idea of becoming an entrepreneur. Risa in San Antonio, fall 2017, after retiring from the Air Force. 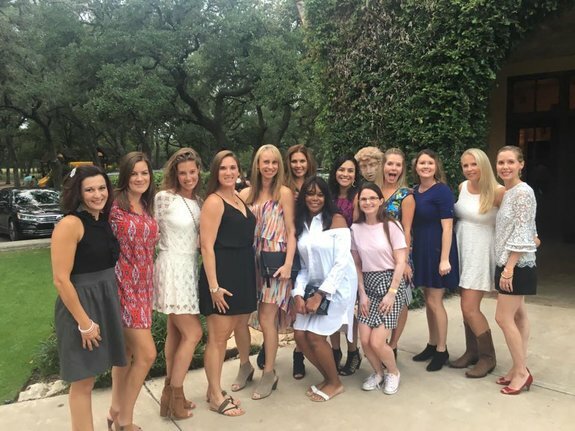 Risa with some of her business partners during a team retreat in Gruene, TX — fall 2017. 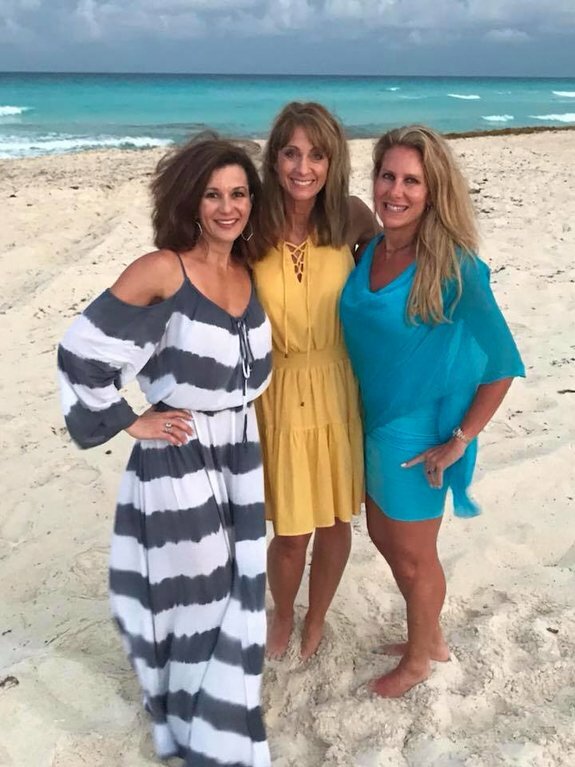 Risa with Level V leaders Tami Milner and Jennifer Alpard during the Lead the Way Milestone V trip to Cancun— April 2018. 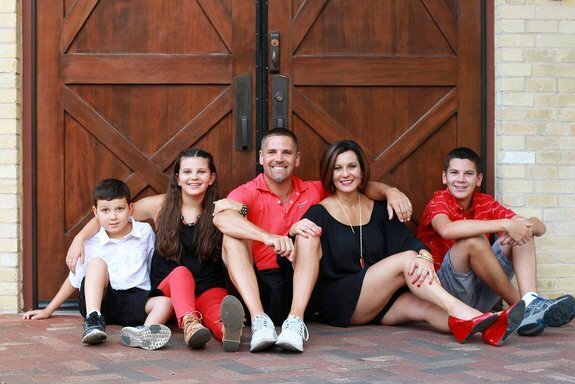 Risa, her husband Kurt, and their 3 kids after her military retirement in 2017. 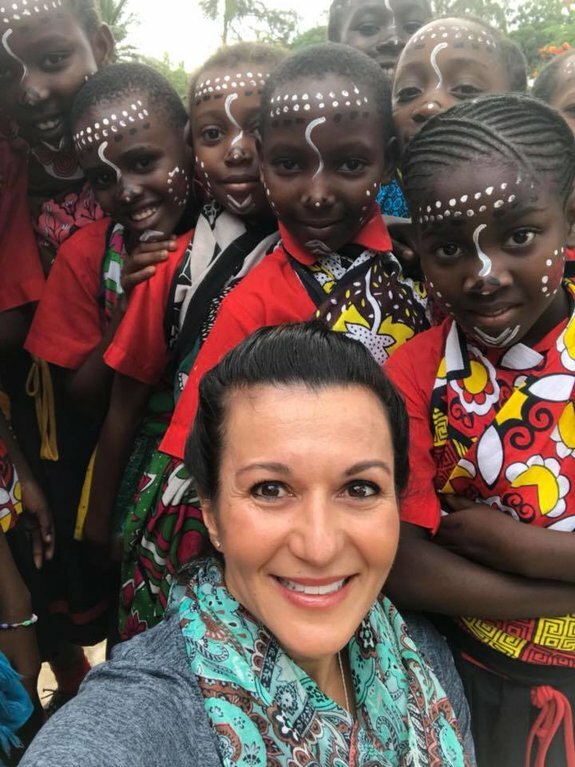 Risa giving her time and love to the children in Kenya. • Best meal you’ve ever had? My mom makes the best crunchy tacos, beans, and rice. My absolute favorite! • What did you want to be when you grow up? As a child, I wanted to be an Olympic gymnast and a television broadcaster. • Have there been any especially significant people in your R+F journey, or life in general? My three kids give my life and business real purpose. It’s because of them that even during the difficult times, I never give up. • What is your favorite R+F product? My absolute favorite R+F product is the Active Hydration Serum. • What is the best business advice you were given? Do not give up on a profession or dream because of the time and work involved in achieving it.